Disneyland Paris has joined forces with the French master pastry chef to create a birthday cake for the famous mouse, who takes center stage at the French theme park this fall when he turns 90. Pierre Hermé picked lemon — an ingredient that he is particularly fond of — to make this birthday cake for Mickey. This special dessert is composed of a shortbread base topped with a cream of lemon and lemon zest, and soft meringue pieces with lemon. 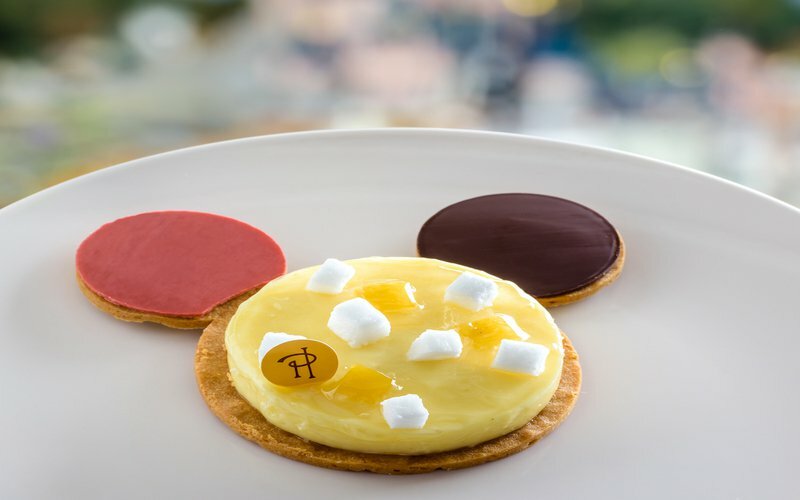 The pastry chef’s creation takes the form of the three-circle design that makes the mouse’s iconic silhouette. The ears are topped with dark chocolate and strawberry purée. The cake, called the “Mickey Zest Party,” will be available from November 17 to January 6, 2019, on the menu of Walt’s — an American restaurant, on Main Street — the park’s main thoroughfare — and at the Disneyland Hotel’s California Grill. This lemon treat lands on the eve of Mickey Mouse’s 90 birthday, which falls November 18. Disneyland Paris has a host of events in store to celebrate the Walt Disney mascot’s milestone. Mickey will feature on a brand new float during the Halloween season parade and will star in the “Mickey’s Christmas Big Band” show this holiday.